These Bearios Carbon Fiber Trekking Poles feature a “Quick & Easy” lock for easy height adjustment so you can find your ideal pole length more easily than before no matter your height. The poles are made of 100% carbon fiber, making them some of the lightest trekking poles on the market. Each pole weighs right under 10oz. and extends from 23” to 53”. The difference between the weight of a carbon fiber pole and an aluminum pole may not seem like much – after all, it’s just a few ounces – but when you’ve been walking all day, every ounce makes a difference! The ergonomic cork handles and EVA foam grip extension attempt to combine the breathability of cork with the toughness of plastic and rubber. Cork handles are the best conformed material to the shape of your hands. Height adjustment on the Bearios Carbon Fiber Quick Lock Trekking Poles goes from 23 to 53 inches; locking comes by way of a fast, lever-type system that is claimed to outlast twist-lock competitors. The poles are certainly engineered well, though they have a bit of a bulky feel (despite being one lightest poles we have looked at). The poles include extremely hard tungsten carbide tips and two kinds of rubber covers: standard round ones and angled ones with a tread on the bottom specifically designed for road and sidewalk use. With these trekking poles, you also get a carrying case and two removable basket types: one pair of baskets for mud and soft ground and the other pair for snow. Carbon fiber hiking poles don’t give the same feedback as aluminum poles when they hit the ground. The difference is neither better nor worse; it just is. However, potential buyers should note that carbon fiber can shatter under duress. (Metal, on the other hand, is more likely to bend.) Granted, you’d have to put the Bearios poles through some severe abuse in order to break them. We put them to the test and we did manage to damage them. In terms of trekking equipment, these poles are toward the higher end of the “non-brand” price range. Adjustability is on par with most other poles on today’s market. The locking mechanism is the clamp type that many consumers prefer. Buyers also get a choice of rubber “feet” and two different baskets (rather than universal ones). The main difference between these poles and others is their lower weight. Saving a few ounces on each pole may not sound like a lot, until you carry them all day! There are some questions about strength; after all, carbon fiber could smash where aluminum would only bend. But a kinked aluminum tube is just as useless as a snapped carbon one, so in the end, it’s a matter of personal choice. You can only purchase them directly at Amazon.com here. 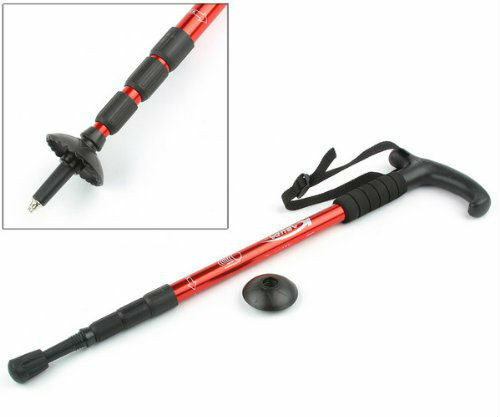 Bearios Carbon Fiber Quick Lock Trekking Poles are nice poles for every outdoor enthusiast. 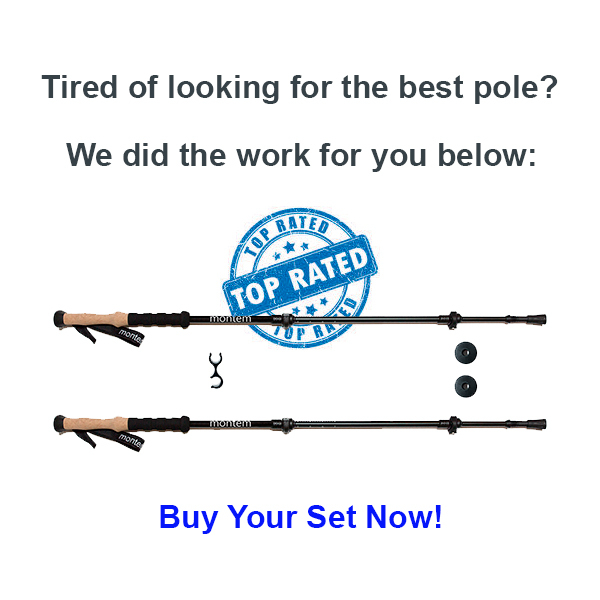 If you are looking for a higher quality and more durable carbon fiber pole for the same price, try the Montem Ultralight Carbon Fiber Poles. We have concerns over their durability with longer term use. 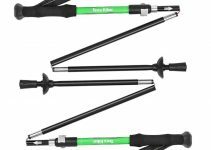 In our opinion, they are a little pricey compared to other trekking poles we have tested that offer the same value.